Chichester Yacht Club has its own team of Dinghy Instructors and Assistant Instructors supported by a network of external instructors that it uses for its internal and RYA-based training courses. 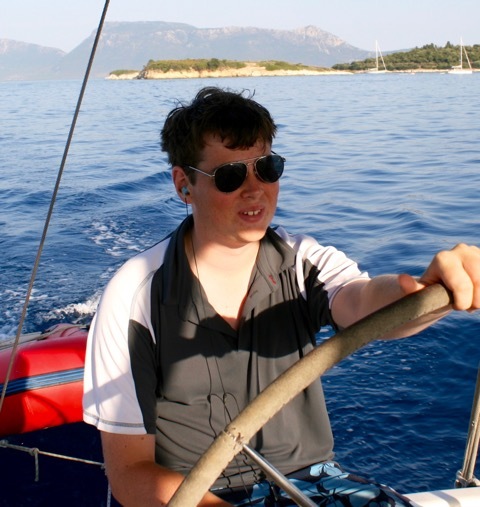 I joined CYC in 2008 aged 10 and started to sail for the first time in a Topper. It seemed a bit scary to begin with but with the fantastic coaching on offer at CYC, coupled with the desire to beat my brother I soon found that I actually really enjoyed racing. I have competed in most of the CYC race series, and also the West Sussex Schools events. I love sailing in most conditions, but I much prefer a gale to light winds! I have outgrown my Topper now and now I am just starting to race a laser dinghy. I trained as an instructor at CYC and was very proud to complete and pass the course in 2015. I’ve grown up sailing at CYC, from doing Oppie camps when I small to racing my laser almost 10 years later! More recently I have been a DI teaching both adults and children in many different sessions! I have had a lot of experience as a club racer in toppers, fevas, Radial and RS 200, and little bit at open meetings. I am now on the sailing team for my university (Cardiff) and compete nationally on a regular basis as a crew. One of my best sailing moments was coming 3rd this year at the BUCS Team Racing Nationals with my university team! But in my youth sailing at CYC, it was lovely to do well in my Topper in the Youth Sailing Week! I have been mainly crewing in Fireflies, but I still have my laser! Also starting to dabble in windsurfing. My favourite aspect of sailing is the social side! 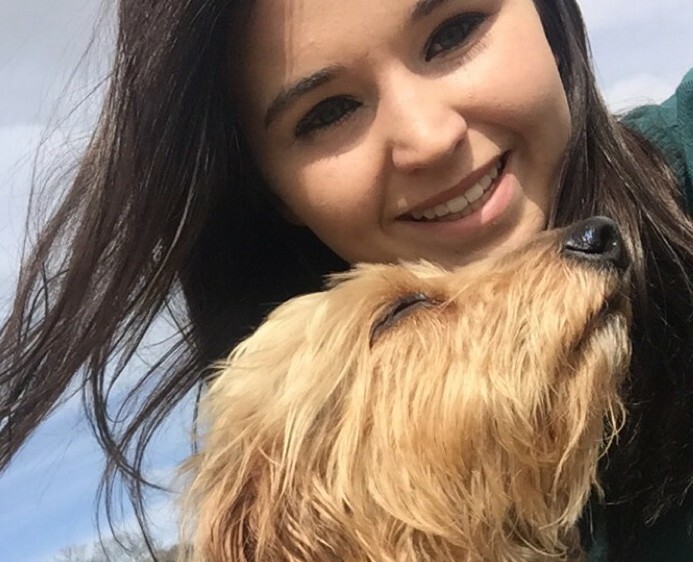 You meet so many people, make some great friends and useful connections! Sailors can talk forever and you always have so much in common! Tell us what your most embarrassing moment has been , ( or your pet hate!) I left somebody else, a very inexperienced person, to sail a Yacht into the River Hamble and while I wasn’t watching, he sailed out of the channel and ran the boat aground! Sailing really hooked me when my family joined CYC, and I took part in the youth training programme here, sailing my Pico and then jumping into the club RS Feva as soon as possible! I qualified as an RYA Dinghy Instructor at CYC back in 2013, and it is a joy instructing here. I took the opportunity to be crew for a friend and we were part of the South Zone squad, so travelled around the country to different training venues and national competitions. The traveling didn’t stop when I moved into the 29er class as crew, and we made it to some of the corners of the country, and a good handful of places in between! I am now the proud owner of half an RS 800 and am really enjoying sailing it. I love the freedom of sailing, and how I can forget about everything else when I am out on the water and just focus on the wind and the sea, and the buzz of going super fast downwind with the spinnaker on the 800!! My proudest moment : When I came first in a race, in the silver fleet, for the 29er Nationals at HISC. We were so so happy!! I learnt to sail around eight years ago at CYC in a topper. I spend my time at the club either racing my Laser or coaching. I also team race fireflies whilst I am away at university in Nottingham. Have been with the Club since 2010, having been coached by the Club and began racing with the race training coached by Martin. I have helped with RYA training sessions at the club as an A.I. before becoming a Dinghy Instructor. As I progressed into racing I moved out of Optimists into Toppers and began participating in national topper sailing events. I also sailed Fevas for one season as part of a winter squad at HISC which familiarised me with double handed racing. After sailing Fevas and Toppers I recently began sailing Lasers and was part of a Laser squad at HISC over this winter. I now sail various boats including Lasers and RS200. I have helped with RYA and Club coaching sessions. I have just gained by Dinghy and Racing Instructors Qualification. What I Love Most About Sailing is the thrill of sailing in windy weather, going really fast especially in boats like RS200s and riding waves downwind in boats. Things I don’t like …. Spiders. I have been a member of CYC almost all of my life with my family, so it felt only right to become a dinghy instructor and pass on some of the valuable skills I learned from sailing at the club. I started my sailing in a Mirror dinghy and a boat called an “Escape” (bright yellow so that my parents wouldn’t lose me!). I moved quickly through optimists and into double handers of various types such as RS Feva’s RS200s, 400s and 500s, before taking on one of the best challenges in sailing – foiling Moths. I also regularly sail yachts and have close to 9,000 nautical miles at sea under my belt including two transatlantic races. Sailing creates a social atmosphere that you just do not get in any other sport. 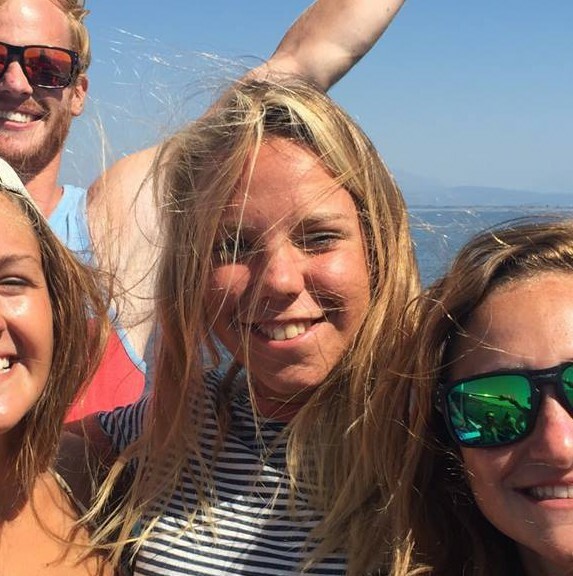 I have made many friends through sailing and the fun/family atmosphere you get at CYC is unlike anywhere else I have sailed. My proudest moments in sailing range from winning many races early on at CYC to 1st under 18 helm in the Round The Island Race (twice), 1st under 21 Moth Champion in the 2013 nationals and 1st in class in the 2011 ARC race (transatlantic). After the Moth I like to keep things a bit closer to the water and I now proudly sail an RS 800. After nearly 20 years on the water there are far too many embarrassing moments to recall. But my pet hate is boat failures on the water and especially during a race!! I am an instructor and racer at CYC. I have been sailing for 8 years. I started sailing in an Oppie and have spent most of my sailing career racing in my topper. I am currently between boats but have recently been sailing a Laser and a RS200. 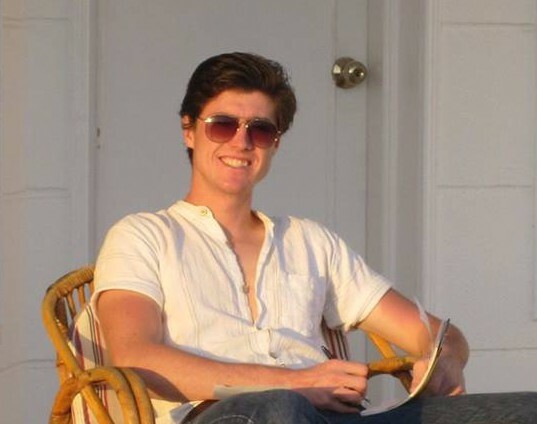 I’ve been a member at CYC since I was small, and am now involved in the instructing and coaching there, while also balancing university work and team racing. I learnt to sail in a Mirror, and then went into RS Feva’s, doing squads, National and European championships. I moved into 29ers, again competing in National, European and World championships all over Europe. 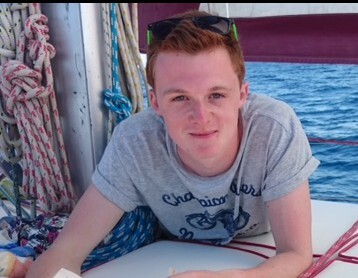 I was team captain for University of Nottingham Sailing Team, and competed in team racing events across the country. I do some big boat sailing as well, but not as much as I’d like! I currently sail a Laser, and Fireflies. I’m hoping to get an RS 700 at some point soon. Fingers crossed! My proud moments are when I see people I’ve been teaching to sail start to really get the hang of it, and begin to enjoy sailing as much as I do. I think the atmosphere at CYC is really great, and I’ve felt it’s such a good place to learn to sail. The thing I love most about sailing though, has got to be going fast downwind, out on the trapeze with the kite up! Dinghy Racing, RYA Race Coach, Senior Dinghy Instructor, Power Boat and Safety Boat Instructor. Oh and Race Officer. What’s your own sailing experience? Lifelong dinghy racing fanatic with moderate intermitent success. I ran sailing holidays in The Med for many years. Dinghy sailing and yachting was work, windsurfing was my hobby. Tell us your proud moments? Student Nationals 1st, in a gale 1979 ( nobody else finished). At CYC annual prizegiving when novices I have helped collect their first proper race prizes. 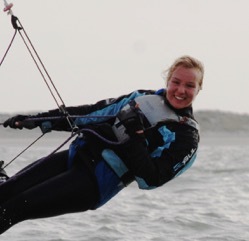 Winning CYC 2000 Open Meeting (in a gale…..can you see a theme here?). 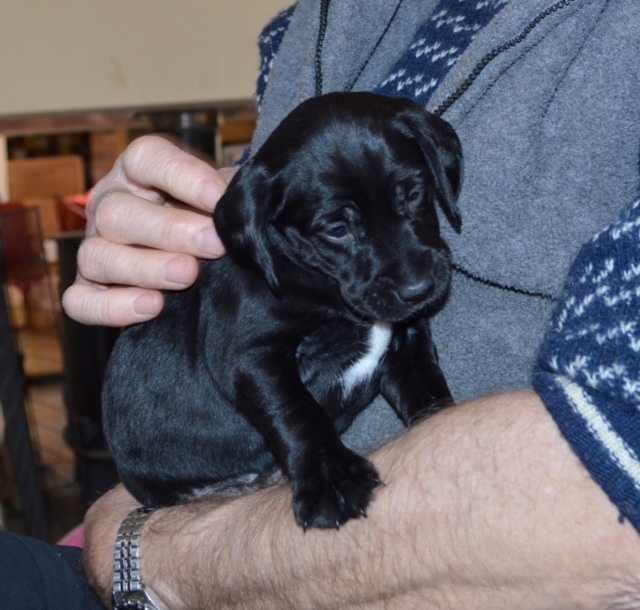 Becoming a dad for the first time aged 55, to gorgeous Doris, see pic. Which boats do you sail now? A 2000 at CYC (its for novices and broken people). Increasingly I seem to drive a coaching rib or race officers committee boat. I part own a small yacht in the Med. Midweek sailing group at CYC, and afterwards at low tide. It is so quiet and peaceful with wildlife so much more abundant than at weekends. Or sitting in a deserted Croatian anchorage at sunset, glass of rouge in hand. So many but you can ask Stephen Green. I think he keeps a list on my behalf! Thanks Steve mate! I am a dinghy instructor and coach at CYC. I am also part of the hospitality team and am often found serving drinks from the bar! I learned to sail when I was 10 at a coastal club but I found the waves were a challenge when I was that size. My family and I joined CYC where there are no waves and great sailing area for learning and training. 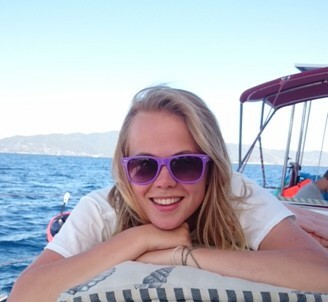 I developed my sailing skills through the CYC training programme. 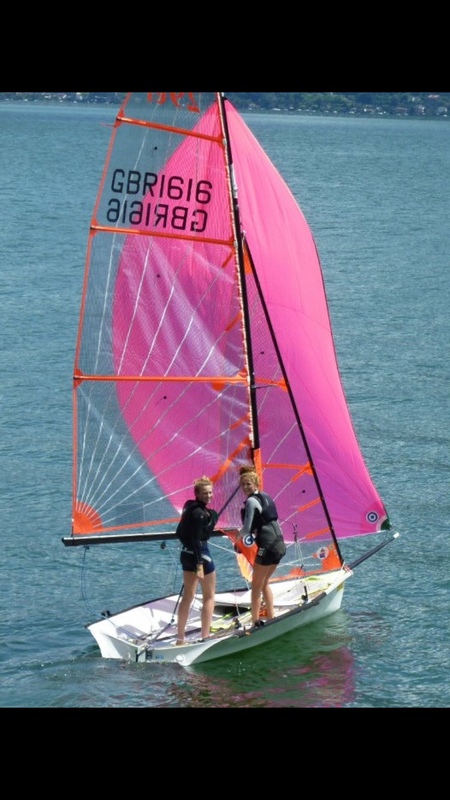 My proudest sailing moments are winning a series in my Topper in my second sailing season at CYC and test sailing a new double handed performance dinghy with my sister Susannah whilst on holiday in Greece. I also love to see how quickly new sailors can build their confidence and skills from zero to hero! Sailing is a great sport, it is unconstrained, mentally and physically challenging and what could be better than a day on the water followed by supper at CYC? My most embarrassing sailing moment was leading a group of oppies and toppers out of CYC driving the CYC safety boat Blew only to discover when the engine cut out that someone had accidentally removed the petrol tank. I have been a keen sailor and member at CYC since the early 1970`s, and involved in setting up and running the race and youth coaching over the last 10 years. Sailing experience: Started in Mirrors at about 11, got cold, wet and didn’t like it at first. Progressed through Larks and Fireballs in university days to International 14s. Gained valuable experience from working with top RYA coaches as the Training Officer for the UK 29er Class. 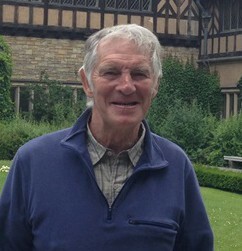 Member of the British International 14 world championship winning team in San Francisco in 1989. 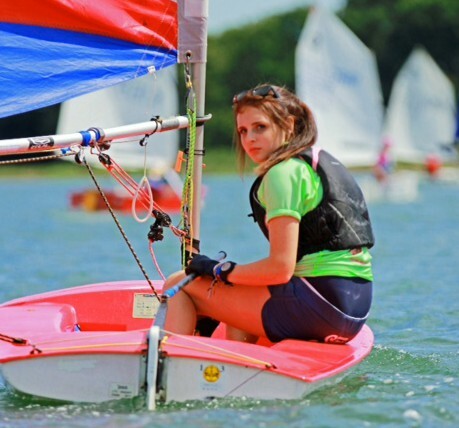 Our youth sailors who have progressed into the RYA and class squads and beyond. 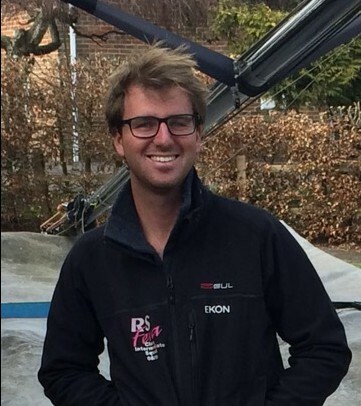 I have been a member at CYC for the last 6 years and have raced in the club races as well as at Dinghy week and the West Sussex Schools and Youth Regatta and have been instructing at the club since 2015. I started sailing on holidays in Minorca and once I realised that I wanted to sail more regularly I joined the club. My proudest moment was qualifying as a Dinghy instructor in the summer of 2014. I currently sail a Laser and occasionally venture out in a Laser 2000 with my parents. The most embarrassing experience that I have been subjected to on the water is being beaten on the water by an Oppie whilst sailing a Pico even though I should have finished a lot further ahead. I have been a member at CYC as long as I can remember and I grew up racing Mirrors at the club, although I think it was more a competition between the parents! As I got older and wanted to sail on my own I moved through from Oppies to Toppers and Fevas and the RYA squad scheme before taking a fancy to skiffs and moving into the 29er for a few years. I’ve recently finished university where I took up team racing in Fireflies and I now have a Laser that I try to take out when I can (you may have seen me at dinghy week last year!) although I’m still waiting to be taken out in my LITTLE sister’s 49erFX haha! I took my RYA instructors course back in 2011 and my race coach course a year later and I love helping to start as well as develop peoples love of sailing and nurturing that competitive edge. My happiest moment would be in Switzerland at the 29er Europeans where even though we didn’t do as well as we might have hoped we loved every minute of it and celebrated the final races singing our hearts out and a fame style jump into the water after the finish line, sailing is meant to be loved and not always about winning! My most embarrassing moment, yet I am actually quite proud, is winning a tiny cute little perseverance glass one year in dinghy week for the most capsizes with a smile and carrying on, it’s still on the shelf!